Today is a quiet day for me. Trying to catch up on home finances and general house work. I should do laundry, but we will see whether we get to that. Yesterday was the quietest day at work for a long time. Only a few customers, and only a few people at work. It was actually a bit noisy as some remodel (at work) work was done to take advantage of the few numbers there to annoy. 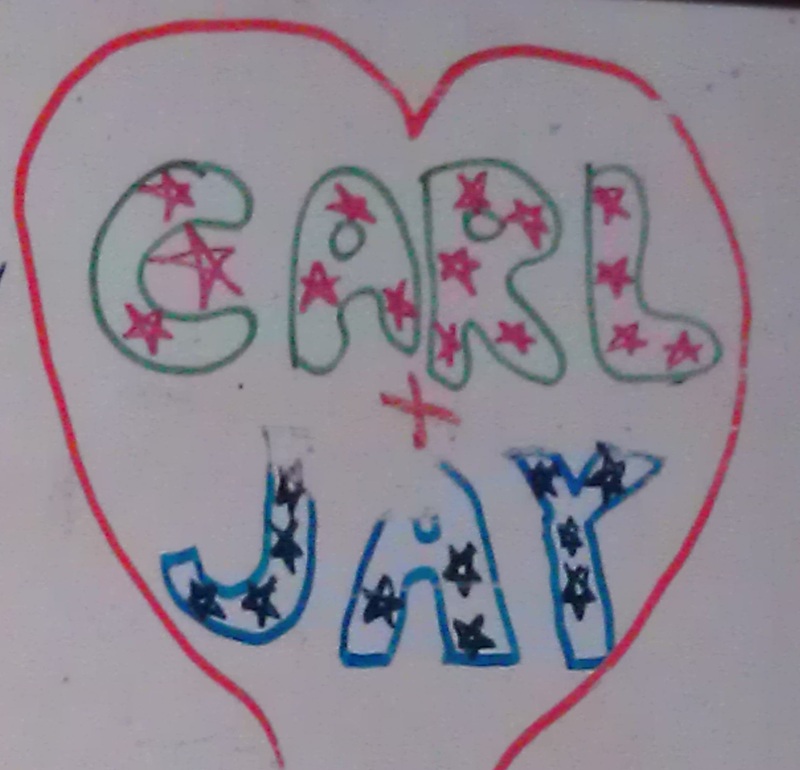 Yesterday was also our anniversary. Carl & I went out to dinner at Anthony’s at Pier 66. We have not been out here for a while, and went to the upper floor. It was delicious. Carl had the halibut, and I had swordfish. We split a cheesecake with berries for dessert. All in all a good night out. The 4th of July was the quietest day we have had not at work for a while. Neither of us worked, other than to check out the house and pick some raspberries. We initially went up to the roof of the apartment building to view the fireworks. We could see some from Bellevue, and what appeared to be some from the Seattle show, but they were barely above the hill. What we could see was a huge plume of black smoke. Some others on the roof reported this to be a boat fire. When we went back to the apartment it was reported to be 14 boats. All in a dry storage rack. The house has been moving forward, and decisions are being made. Appliances have been chosen, and electrical outlet locations chosen. The door that would be a wall is making progress. 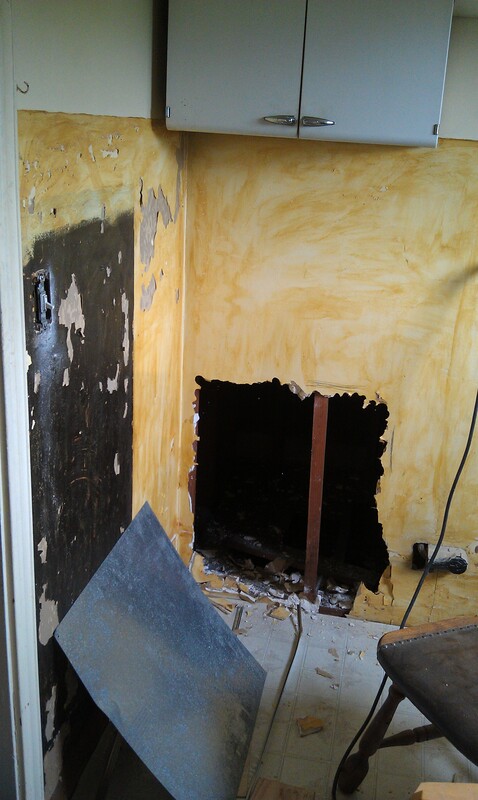 The kitchen/bathroom cabinet is becoming more of a hole (for a cabinet to fit into). 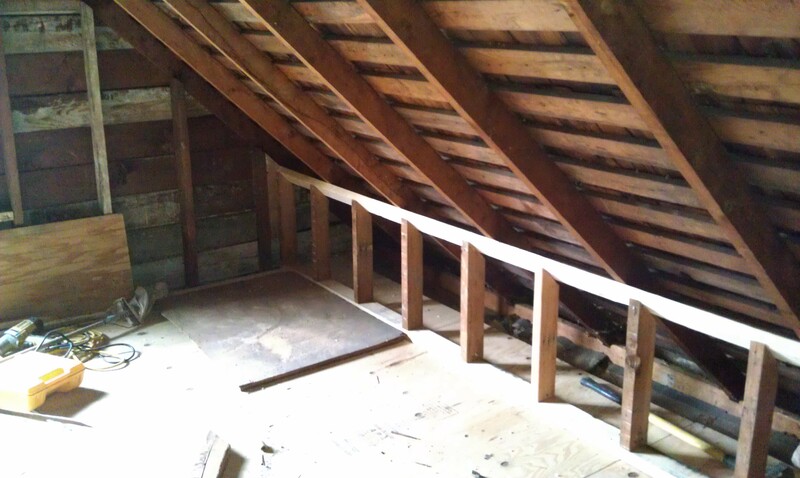 The attic floor strengthening is complete and floor base is being installed along with a knee wall. 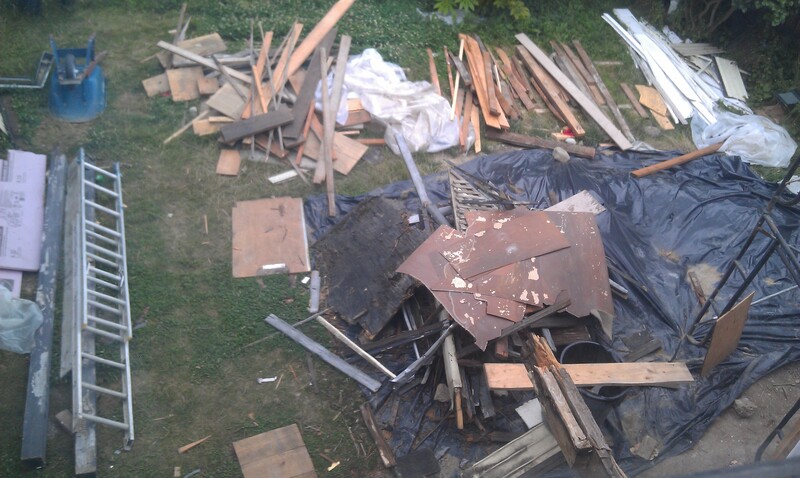 All of this will allow the insulation work to move forward pretty soon. 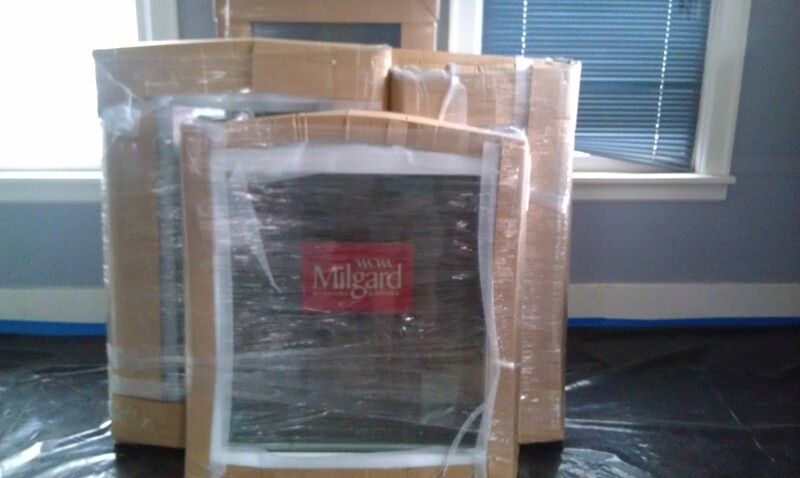 Windows have also arrived. We are only getting a few new windows where required. We wanted to go much further, but we can only do so much right now. This entry was posted on July 6, 2013 at 2:28 pm and is filed under Uncategorized. You can follow any responses to this entry through the RSS 2.0 feed. You can skip to the end and leave a response. Pinging is currently not allowed.